While everyone is always sad to see summer go, fall has so many alluring style choices, it’s hard to resist the excitement. From the return of patterned scarves and knit beanies to fleece tights and turtleneck shirts, there are so many new accessories and clothes to rediscover. Transitioning from a summer style to fall fashion can be difficult, as beachy vibes need to give way to earthy colors and long sleeves. If your wardrobe needs help moving from summer to fall, read on to learn the best seasonal tips and tricks. Nobody says that summer accessories can only be used for summer. Don’t shove your warm weather accessories to the back of your closet; instead, sport a neutral beach tote along with your fall inspired attire! Keeping your bag a light color and texture as your clothing gets heavier and more rustic ensures that the transition isn’t too dramatic. You can also wear your playful summer jewelry. Pair bright, geometric designs with complementary fall colors for surprising combinations throughout September and October. Your favorite summer clothes can still be used during the early fall season. For this endeavor, layers are your best friend! Tights under summer dresses are a flirty addition and give you the opportunity to introduce variety to your summer wear, such as wool and fleece for chilly mornings and patterned nylon for warmer weather. You can also layer your summer tunics and tops with cardigans or long sleeved shirts. Wear your favorite skirt with a basic turtleneck or a neutral shirt and blazer with jeans. Don’t forget to top off your outfit with a warm beanie or a captivating scarf. Any warm weather outfit automatically looks appropriate for fall the minute you add stylish headwear or a neckerchief. However, tread the line gently, as accessorizing too heavily can make your look dramatic and overwhelming. While boots are an essential fall basic, keep your footwear ready for surprise showers with open-toed sandals! They not only serve to remind you of summer throughout the early autumn months, they can supplement your fall outfit with a hint of warmth. When you finally need to succumb to the call of the basic boot, choose a knee high style in black or brown. These colors match with any of your fall hues and can protect your legs when you choose to wear tights under a dress or a skirt. 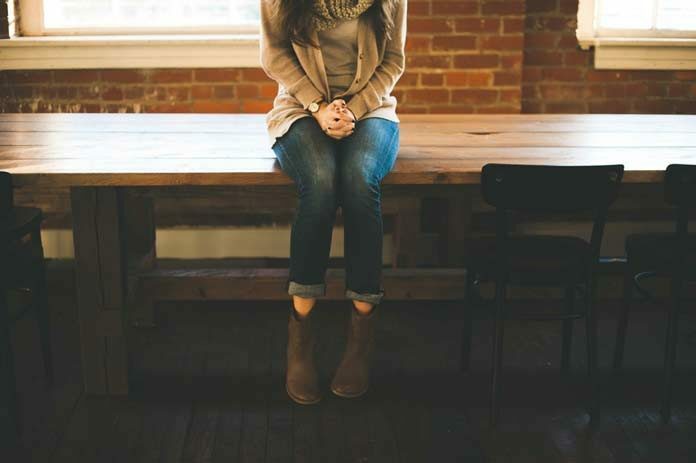 Wearing basic boots are the perfect way to welcome in the cooler weather, while maintaining that fashion-forward style. If you’ve been wearing bright dresses, tees, and tanks from District Clothing all summer, then wear similar cuts in warmer tones, such as red, brown, and gold, for the fall. If you live in a region where the winter isn’t too cold, you can have an exciting opportunity to dabble in fall’s signature colors with some of your favorite summer outfits. Channel the changing leaves in your next outfit and keep the summer sunshine going as well! When you’re experimenting with the seasonal transition, it’s important to have plenty of basic tops and bottoms. These allow you to make bold choices in other parts of your outfit without creating an ensemble that overwhelms. Use any of these transitional tips to stylishly keep the warm summer vibe while getting ready for the fall. Carolyn Clarke is a personal stylist, shopper, and freelance fashion writer from Los Angeles, California. Combining her love for fashion design with creativity, she enjoys creating outfits that communicate effortless style and beauty. With over 10 years of experience in the fashion industry, she enjoys styling her clients and building trendy wardrobes.